Viitasaari, one of the summer’s closer-to-Polar-Circle camps of contemporary music! 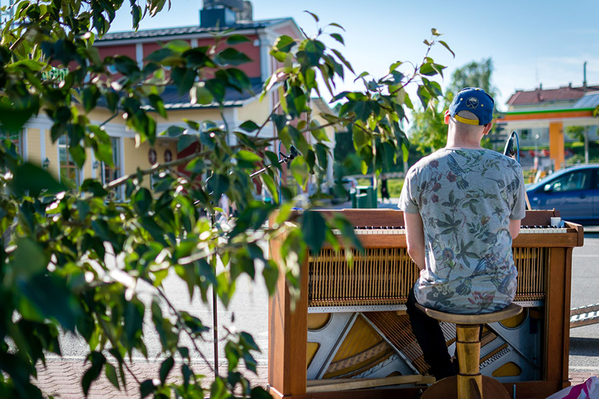 A Finnish city of about 6800 inhabitants, north of the capital Helsinki by some 400 km, is since 1982 for some very peculiar reason the home of the only annual classical contemporary music festival in Finland, including a Summer Academy programme. 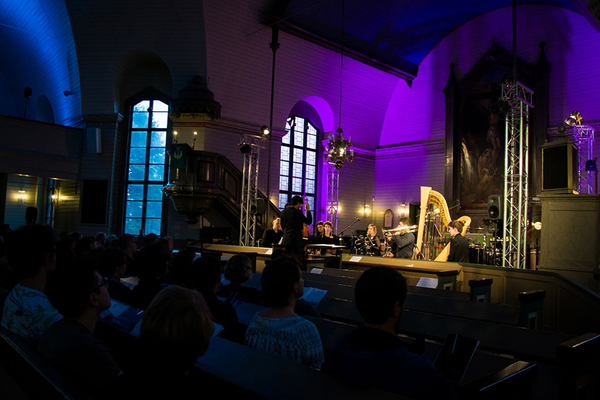 Time of Music (Musiikin aika in Finnish) is a member of the ULYSSES Network since 2012 and has hosted many projects, co-commissions and stops for young composers, performers and conductors during the years of cooperation. In 2017 a unique masterclass for conductors with Susanna Mälkki was realized with IEMA (International Ensemble Modern Academy) with ULYSSES Journeys participants both as conductors and musicians, and the summer of 2018 was just as busy with the joined commission with IRCAM from composer Sampo Haapamäki and stops for composers and performers at Chaya Czernowin’s Composer course, Improvisation course by Tomomi Adachi and Jennifer Walshe, and Electronics Lab. 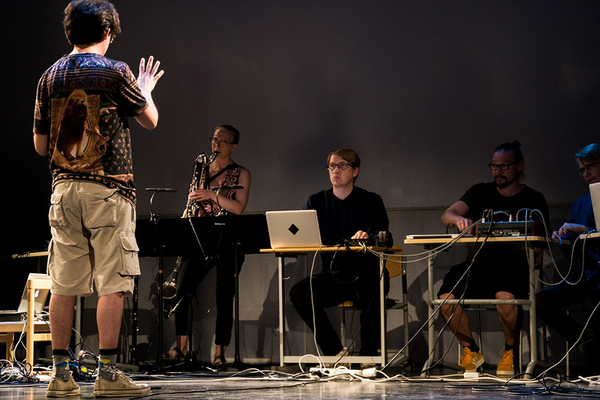 The composition IDEA (2018) for an ensemble of 11 musicians and an 8-channel electronics, commissioned by Time of Music festival and IRCAM, is Sampo Haapamäki’s third one including electronics. The nine-week studio work was made in collaboration with computer music designer (RIM) Serge Lemouton in the studios of IRCAM-Centre Pompidou. The world premiere at Viitasaari was played by ICE (International Contemporary Ensemble, NY) with visitors and the conductor Christian Karlsen. Detection and analysis of the conductor’s movements during the performance is central in the temporal realization of the electronics in IDEA. The conductor Christian Karlsen visited IRCAM for total of four days to conduct the piece through in a studio environment. A sensor attached to his right arm sent information to a computer where it was stored for use in the premiere, when it was compared to Karlsen's live conducting in order to make it possible for the computer to know where the musicians are in the piece at any given time. The duration of beats vary greatly in IDEA, as the piece uses a rather large selection of various micro and additive time signatures, as well as temporal accelerations and decelerations. The surround sound encircling the audience consists of both sound files and live-electronics manipulating the instruments in real time. The composition used musical gesture capturing that has been developed for over 15 years under the leadership of Frederic Bevilacqua at IRCAM. 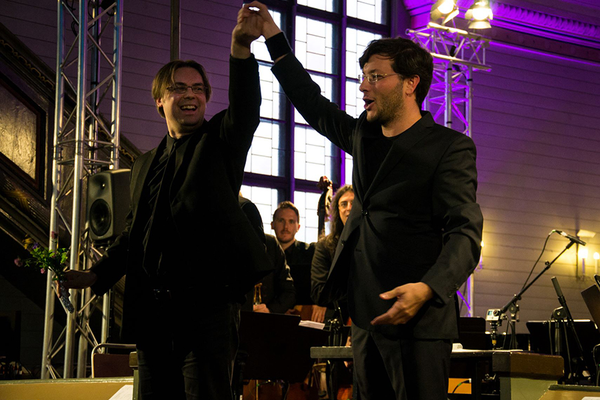 In Viitasaari the visiting experts from IRCAM with Serge Lemouton were Lucas Bagnoli and Maxime Mantovani. Composer Sampo Haapamäki was responsible of the sound files. IRCAM experts gave also lectures for the Electronics Lab including ULYSSES Journeys participants at two occasions, one concerning gesture capture technology and another Chaya Czernowin’s string quartet HIDDEN where electronics were also realized by the IRCAM team. Sampo Haapamäki’s piece will be presented in Paris in 2019 within IRCAM’s annual season program; for anyone interested in a piece whose “sturdy rhythmics and electronic soundscapes anchor the listener to a world filled with action, the sound structure being full of movement and tension”, according to the Finnish press, this concert is highly recommended. The concert was live broadcast by the Finnish Broadcasting Company YLE and will be available for streaming until August 4th online. The ULYSSES project was originally inspired by an illustrious generation of 18th Century artists who wandered all across Europe, visiting at each “stop” along the way the greatest masters’ workshops in order to improve and to complete their skills. Though a very Northern stop, Time of Music has yearly provided places for the interested ones in the composer courses, improvisation courses, and other available masterclasses. All the Summer Academy courses include, in addition to the top-end tutorship, the whole Festival programme concerts. At Viitasaari Time of Music, during the project the ULYSSES Journey composers have been able to apply for some places in the composer masterclass offered every year, as well as other Summer Academy courses, which have included improvisation in some form for many years now for the frequent request and popularity for the subject, and a third course varying from percussions to chamber music, in 2018 being Electronics Lab because of the strong emphasis on the subject in the programme. The performers have been offered the same opportunities. 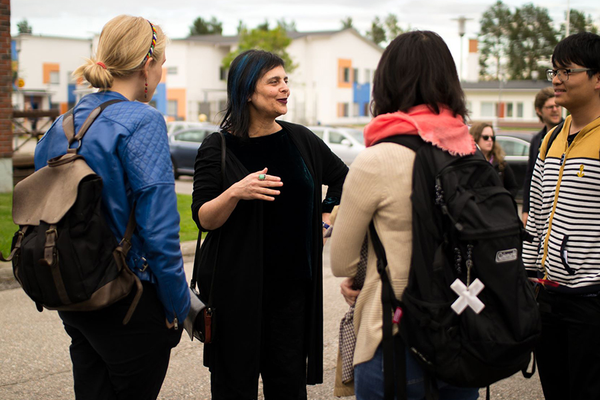 This year, Chaya Czernowin’s class held more sessions than scheduled. The tutor explained this to be the result of the class’s extraordinaire spirit and dialogical nature. Improvisation course with Jennifer Walshe and Tomomi Adachi promised “to involve a standard approach to improvisation as conducting but also non-standard approaches such as telepathy and occult divination practices”. Viitasaari environment seemed to suit the purpose very well. 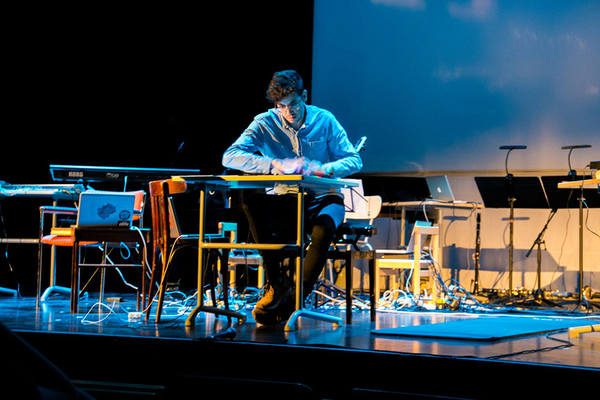 Electronics Lab was tutored by composer Sami Klemola, artistic director of defunensemble that had two own concerts at the festival. The Lab got introduced to very many of the contemporary classics of our time and learned from the authors themselves; Chaya Czernowin, Sampo Haapamäki, Ralf Wallin and Alexander Schubert about their use of electronics in their works. In addition the Lab worked with solo and ensemble pieces performed at the Final concert.